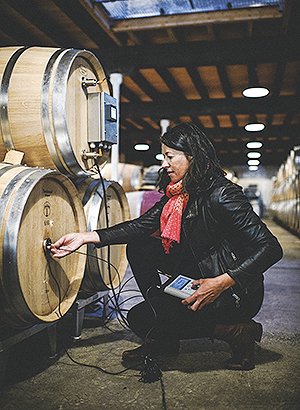 Chêne Services offers innovative technical services and technological equipment to assist its clients in controlling vinification and the ageing of wines. 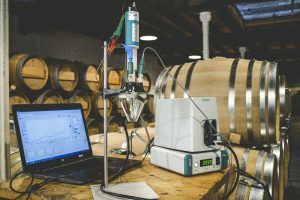 Chêne Services relies on the R&D expertise of Chêne & Cie in key areas such as the management of oxidative phenomena in wines and hygiene control in wine cellars. This synergy has resulted in the development of a range of exclusive technical solutions, most of which have been patented. ChênOX® is a tool for measuring dissolved oxygen inside a barrel without opening the bung (FR31081 patent). The ChênOX® platform received a mention in the Vinitech 2018 Innovation Awards.